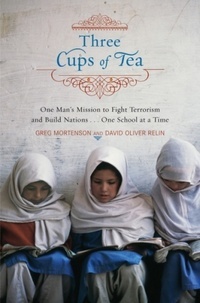 I really liked Greg Mortenson’s book. I’ve long been thrilled by tales of the Karakorams,* just a personal quirk. And what 2nd-wave feminist wouldn’t get excited about building schools for GIRLS? So it’s disappointing to read that he may have fabricated major elements of the story, like the incident that drives the book’s plot–his failed K2 assent and near-death experience that sent him stumbling into the village of Korphe in northeastern Pakistan, to be nursed back to health by the villagers. He swore he would return and build schools. If you’ve read Mortenson’s book, or heard him speak, you know he’s nobody’s first pick for “most likely to succeed at building a charitable institution.” Much of his tale follows the complications that arise when a socially awkward young man, inexperienced at fundraising and public speaking, sets his foot on that path. As a memoir writing instructor, I sometimes tell my students that we need to compress events in order to make good dramatic narrative from the disorderly stuff of life. Is this all that Mortenson is guilty of? Or is there more? The episode in which Mortenson is held hostage by Taliban members for eight days has also been called into question. Others present are saying they were not Taliban, and were not holding Mortenson against his will. Did Mortenson exaggerate an exotic home-stay into the captive-by-Taliban element because he thought his tale needed more drama? Or perhaps to underline his belief that education can help to halt the spread of anti-American, Islamist philosophies? William Zinsser commented in that New York Times article, “To me, the essence of memoir is absolute truth because I think everybody gains that way.” Zinsser’s opinions hold much more authority than mine on this topic. How much conflation would Zinsser allow in the cause of creating a compelling story? I wish I could ask him. I also wish I could talk to the man credited as Mortenson’s co-author: David Oliver Relin. I’d ask him whether he advised Mortenson on some of these decisions that have now been called into question. I’ve ghost-written and I’ve book-coached. It’s not easy writing someone else’s memoir. For more on that line of thought, see this post on Hawley Roddick’s blog. To tell it true, but also tell it well–that’s the dramatic struggle each of us engages in when we set out to write about our lives. *Dervla Murphy’s Full Tilt: From Ireland to India on a Bicycle was one of my first loves in the memoir genre. Jon Krakauer’s Into Thin Air is another great book on the mountain-memoir stack. Love ’em. Recommend ’em. p.s. Here’s an NPR follow-up to the Mortenson expose, musing on the way our celebrity culture is driving writers from fiction into the murky waters of memoir. p.p.s. Here’s a rebuttal I really appreciate from Nicholas Kristof in the 4/21/11 New York Times opinion page. This entry was posted in Book review, writing workshop and tagged truth. Bookmark the permalink. Perhaps Mortenson should have called his book a non-fiction novel – a genre that some think began with Truman Capote’s In Cold Blood.